REDMOND, Wash. (Nov. 17, 2015) — MediaAlpha, the leading advertising technology provider for vertical search media and LeadiD, the data and analytics platform with the deepest insight into the consumer buying journey, today announced the release of a new predictive consumer intent score specifically created for the insurance industry and available through the MediaAlpha Demand Platform. The jointly-developed product offering coincides with the announcement of a strategic partnership between MediaAlpha and LeadiD. LeadiD’s industry-wide view of online shopping behavior equips marketers with a quantifiable measure of consumer intent that can easily be used to optimize real-time bidding strategies within the MediaAlpha Demand Platform. The consumer intent score is available exclusively as an advanced data solution on the MediaAlpha Demand Platform, the leading programmatic technology platform for buying vertical search media. The Demand Platform offers advanced campaign management and optimization tools for marketers, and easily integrates with 1st and 3rd party data sources to enhance bidding strategies. The integration with LeadiD, which also provides access to LeadiD’s consumer intent scores in other industry verticals, is the latest platform innovation to bring marketers one step closer towards understanding the true level of intent for each consumer. LeadiD’s Consumer Intent Score represents the next evolution of predictive lead scoring. While existing scoring solutions do a good job of identifying the demographic characteristics of insurance shoppers, they fail to account for observed behaviors that are indicative of intent. This means that insurers are too often overlooking high-intent shoppers, causing them to miss significant engagement opportunities. The Consumer Intent Score improves on those models by incorporating the real-time behaviors of consumers in every part of the consumer funnel. 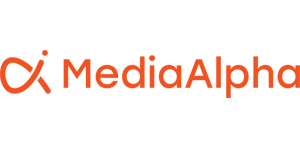 MediaAlpha is an advertising technology company that develops programmatic technology platforms that bring transparency and efficiency to the buying and selling of vertical search media. MediaAlpha’s exchange technology powers private and open exchanges for insurance and other vertical-specific sectors. Vertical search is a category of performance marketing that enables highly targeted advertising to high intent, purchase-ready consumers in the form of clicks, calls or leads. The company is headquartered in Redmond, WA and has offices in Los Angeles, CA and Tampa, FL. LeadiD is the data and analytics platform that provides marketers with the trust and transparency to make smarter decisions and take real time action based on verified consumer behavioral data. It is the only independent, neutral, open technology platform that allows marketers to know the certified origin, history and network intelligence of every 1st or 3rd party lead – creating a standard data currency for the lead generation ecosystem to communicate and optimize. LeadiD’s comprehensive AppMarketplace offers plug-and-play solutions for TCPA compliance, fraud detection, data validation, scoring, and more. For more information, visit www.LeadiD.com.